“Gleason” (2016). Cast: Steve Gleason, Michel Varisco, Rivers Gleason, Mike Gleason, Scott Fujita, Blair Casey, Paul Varisco Sr., Kyle Gleason, Gail Gleason, Jim Eutizzi, Drew Brees, Kurt Warner, John Elway, Rev. Jesse Jackson, Mike McCready, Eddie Vedder. Director: Clay Tweel. Screenplay: Clay Tweel. Web site. Trailer. What makes a hero? Many of us probably think of comic book figures, first responders or combat vets. Those examples are certainly inspiring, and their contributions (especially those of the real world figures) are definitely laudable. But, as the new documentary “Gleason” illustrates, heroes sometimes come in the unlikeliest of forms. Former NFL player Steve Gleason didn’t really fit the profile of your typical football star. He was a little undersized, and his cerebral, somewhat reserved personality didn’t exactly lend itself to that of the prototypical grid iron hero. But what he may have lacked in stature he made up for in tenacity and drive, giving his all to the game and making quite a mark on the field.  As a safety for the New Orleans Saints, Gleason is best known for having blocked a punt that led to a touchdown in the first home game held at the Louisiana Superdome in 2006 after the city was devastated by Hurricane Katrina a year earlier. The play was seen as a symbol of New Orleans’ rebirth, and it has since been immortalized in a statue outside the stadium. But, despite the impact of that accomplishment, the mark Gleason has left since his football career ended makes this achievement pale by comparison. In 2011, Gleason was diagnosed with amyotrophic lateral sclerosis (ALS), a motor neuron disease that leads to the degeneration of the muscles while leaving one’s mental faculties intact. The disease, which has affected such others as Lou Gehrig and Stephen Hawking, leaves its victims unable to walk, talk and eventually breathe. The typical life expectancy from the time of diagnosis is two to five years. So, when faced with such a prognosis, Gleason deliberately chose to make the most of the time he had left. For example, Steve and his wife, Michel Varisco, decided that his illness was no reason to prevent them from becoming parents, and, nine months after his diagnosis, Michel gave birth to their son, Rivers. Steve wanted to be involved in his son’s upbringing as much as possible, but, knowing what the future held, he realized that he wouldn’t be able to do many of the typical things that dads do. So, to help ensure that Rivers knew who his father was, Steve began making a series of video blogs to share his thoughts. 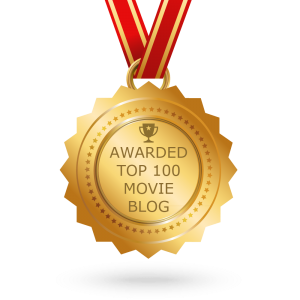 The blogs, many of which are featured in the documentary, cover a broad range of topics, from love to spirituality to the meaning of life. That’s quite a gift to one’s child, something we all could learn from. Gleason’s efforts at squaring things in his life didn’t stop at becoming a father. He consciously made an effort to settle his accounts with others, particularly in his personal relationships, such as with his own father, Mike. Through a series of candid, heartfelt exchanges, the documentary depicts how father and son come to terms with years of issues left unsaid and unresolved, an eye-opening experience to be sure. With time for fully appreciating what life has to offer running out, Steve also chose to pursue long-cherished experiences while he was still able. He took an extended road trip to Alaska, seeing sights beyond description. It proved to be a life-changing experience. 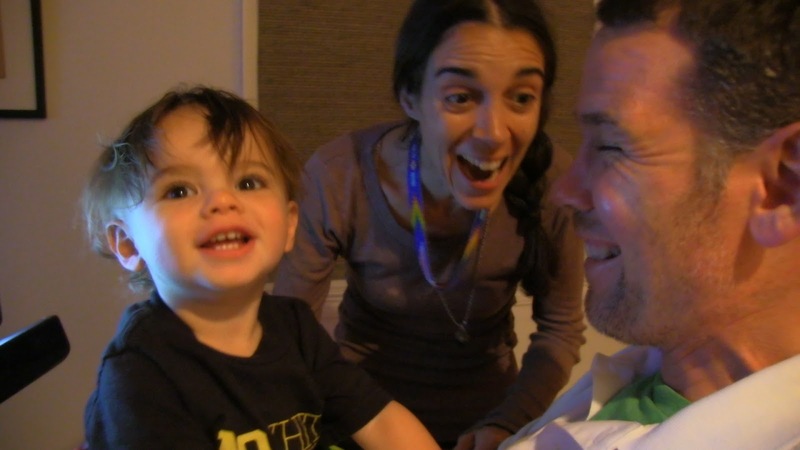 Proud parents Steve Gleason (right) and Michel Varisco (center) share a moment with their son, Rivers (left), in the inspiring and touching new documentary, “Gleason.” Photo courtesy of Open Road Films. Team Gleason’s efforts have since expanded from its original mission. Its programs have led to such accomplishments as securing the enactment of federal legislation guaranteeing Medicaid coverage of technology enabling ALS patients to communicate when they can no longer speak and the wildly successful ice bucket challenge aimed at raising funds for ALS research. And who says a football player’s heroics only occur on the grid iron? Living the life of the hero is an important component of the conscious creation process, the means by which we manifest our reality through the power of our thoughts, beliefs and intents. It represents the surmounting of our fears and moving forth courageously to live out our destiny. It may not always be the easiest undertaking we pursue, but it’s certainly one of the most fulfilling, especially when our efforts leave a mark on the world. And Gleason has left more than a few. For instance, in his football career, Gleason brought renewed hope to a city whose collective spirit was broken, not only by the forces of nature but also by the rampant failings of an inept government bureaucracy. His legendary play at the Saints’ first home game in almost two years – at a facility, the Louisiana Superdome, that had come to symbolize the horrors of social breakdown during and after Katrina – validated that New Orleans was indeed back, filling citizens of the Crescent City with an emboldened new hope for the future. New Orleans Saints quarterback Drew Brees (right) is one of many notable supporters of Team Gleason, a foundation established to support ALS patients formed by former teammate and ALS patient Steve Gleason (left), as seen in director Clay Tweel’s outstanding new documentary, “Gleason.” Photo by Lori Burns, courtesy of Open Road Films. But, in the time since his retirement from the game, and particularly since his diagnosis, Steve has shown the true nature of a hero, both in his personal dealings and in what he has done for others. He recognized what needed to be done in these various areas of his life and stepped up to address them. By coming forward publicly about his illness, for instance, he helped draw awareness to a heartbreaking, debilitating disease that traditionally has not received the same level of attention as other conditions. 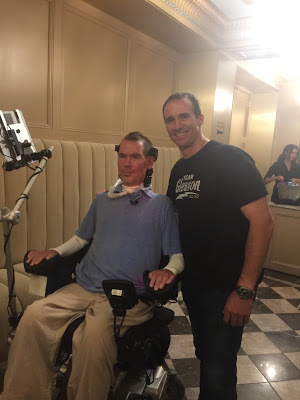 And then, in launching Team Gleason, he provided valuable assistance to those who may not have received such support were it not for what he did. His accomplishments in these areas show a strong affinity for living out his value fulfillment, the quality characterized by putting our best selves forward for the benefit of ourselves and those around us, hallmark qualities of conscious creation and the spirit of heroism. In both his football career and his subsequent philanthropic efforts, Gleason made things happen through the sheer power of his intents. Even when he was no longer physically able to do the work himself, he successfully drew into his life others who could help out. His track record of achievements, either through his own direct efforts or those of his surrogates, shows the strength of his character and the faith he has placed in the beliefs needed to realize such objectives, an example we could all learn from. Of course, while it’s easy to recognize the value of these heroic creations, one might legitimately wonder why he materialized such a debilitating condition. That’s a difficult question but not one for us to answer, since it’s part of his journey, whatever the reason and manifesting beliefs behind it. 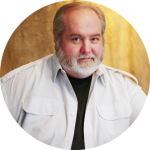 As becomes apparent in the film, even he’s not sure why he’s been affected by ALS, frequently speaking to the issue in his video blogs, especially when frankly addressing spiritual topics and his connection to God. However, considering Gleason’s public standing and what that notoriety has helped make possible for so many – benefits that may not have been otherwise realized – perhaps this illness was part of that heroic effort. It’s not something that many of us may have been willing to put ourselves through, and Gleason himself openly expresses his doubts and reservations. But, by having endeared himself to so many, Steve rallied countless supporters to his cause, making it possible to carry forward with his mission to help others similarly afflicted. And, as he states unequivocally in the film, he knows, despite the hardships of his journey, that his soul is indeed saved. Spoken like a true hero. 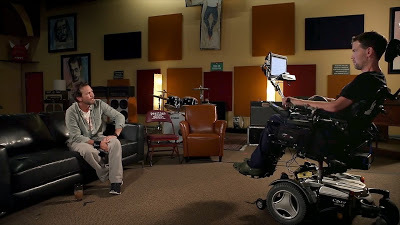 As part of his effort to live his life to the fullest, ALS patient Steve Gleason (right) creates video blogs to share his thoughts and to interview those important to him, such as Pearl Jam lead vocalist Eddie Vedder (left), a band Gleason grew up with, as depicted in the new documentary, “Gleason.” Photo courtesy of Open Road Films. “Gleason” is an excellent, compellingly candid documentary about a remarkable man on a remarkable odyssey. The raw honesty and uplifting inspiration showcased in director Clay Tweel’s offering are astounding, portrayed with an unrestrained frankness rarely depicted on screen. Its celebration of personal heroism and the spirit to carry on despite the odds is touching, enlightening and mesmerizing. For all of its inspiration, though, the film also has its share of heartbreaking moments, such as its uncensored depiction of the decline of Gleason’s physical state. It shows the stress and hardships placed on the marriage of a couple whose partners obviously love one another but who must contend with changes and challenges far greater than what either of them probably envisioned. But, as a clip from the couple’s wedding aptly illustrates, the true strength of a marriage comes through not when things are good but when things are difficult. And, from what this film illustrates, this is obviously a couple that loves one another very much, yet another source of inspiration we can draw from, even through the sadness. Rising to the occasion provides us with an opportunity to rise to meet ourselves. Such an experience may astonish us by revealing capabilities and reserves of inner strength we never knew we possessed. And, through this extraordinary film, Steve Gleason shows us how, and he does so with a heroism we can only hope to emulate.